So, halfway through the day, I get to actually start up VS and go to work. Since Microsoft started deploying VS 2010, the 2008 version can no longer be downloaded from their site (or at least, I couldn’t find it). Luckily for me, and anyone else reading this and wanting to start: I posted the installer on www.revitforum.org and will also be posting it on my own blog at www.mdr-advies.nl. After installing it, you get the screen as shown in the picture below. You can start by opening a new project through the Recent Projects subscreen, in which case the following screen will open. 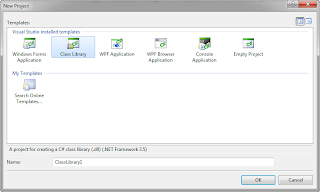 Windows Form Application: This is a standalone windows application with no interaction to other running programs. Class Library: This is the one you will mostly need, a plugin inside a host software. 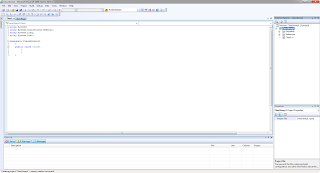 WPF Application: I have no clue as to what this does… Any comments from the API gurus out there? 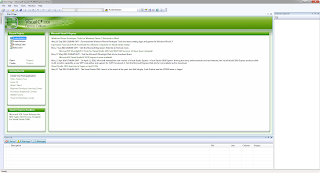 Console Application: these are pieces of software that run automated without any user input. These are those MS-DOS-boxes that float around from time to time when installing software. Usually they perform tasks like extracting files to a certain folder, or cleanup installation files after Setup. First off: what in the world does this all mean?